You bring the kidz, we’ll make the event. Great-fun for the kidz, and no hassle for the parent. You just come and we will do the rest! Zoodle’s Place – Offers a range of events for your child. Plan your next party with us or drop in for one of our special events. Parties and Events – Our parties are a cool way for your kids to party with Zoodle Kidz. Group Events – Zoodle’s Place host great monthly activities. Your kid would make the event even more special. Join us! 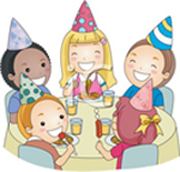 Social Party – Children’s social gatherings are a fun way to have a get-together for girls and or boys and can even present an opportunity to introduce children to how to interact with others. The events are Tea-riffic, fun, and memorable. Come Party With Us! 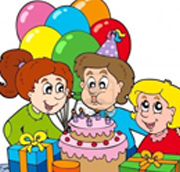 Birthday Party – Our parties are a Zoodling way for your kids to have fun with Zoodle Kidz. All you do is put your feet up and we do all the work. What are you waiting for? 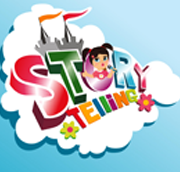 Story Telling – Bringing our children together and allowing them to grow by the use the power of story in all its forms. Connecting lives to and through interactive storytelling.